Kurt Buschstarted 23rd, finished 25th. Busch was up to 13thby lap 21. On lap 22, Busch brought the No. 41 Haas Automation Ford Fusion for four tires, fuel and a tire pressure adjustment. Started sixth and finished 21st. Was in sixth place when he pitted on lap 47 for four tires, fuel and a tire pressure adjustment. Started fourth and finished sixth. Busch ran in second on lap 77 but was 15 seconds behind Martin Truex Jr.
On lap 82, Busch took the lead as Truex pitted. Busch pitted on lap 83 for four tires and fuel. Busch ended up in sixth place. Truex won the Save Mart 350k to score his 18thcareer Monster Energy NASCAR Cup Series victory, his third of the season and his second at Sonoma. His margin of victory over second-place Kevin Harvick was 10.513 seconds. This was Busch’s ninth top-10 of 2018 and his 10thtop-10 in 18 career Monster Energy NASCAR Cup Series starts at Sonoma. 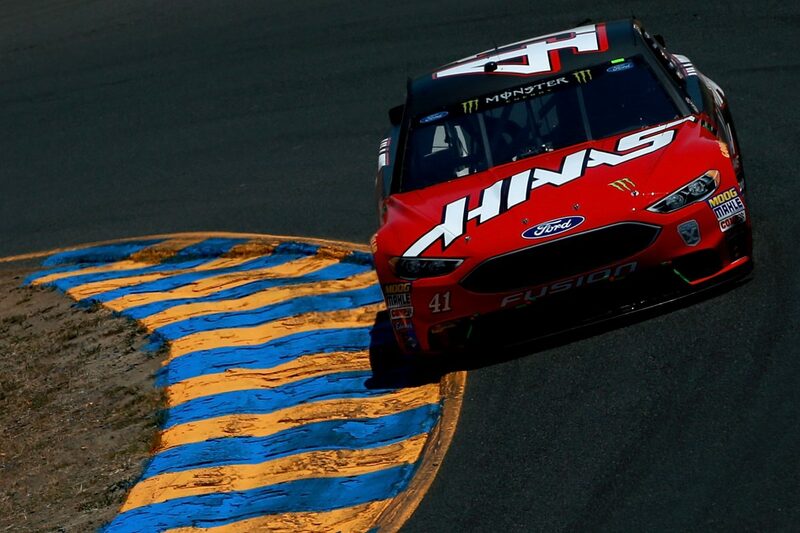 Busch led a single lap to increase his laps-led total at Sonoma to 198. This is the second time Stewart-Haas Racing (SHR) has placed all four of its drivers in the top-10 in a single race, with Harvick finishing second, Clint Bowyer in third, Busch fifth and Aric Almirola eighth. The last time was March 11 at ISM Raceway near Phoenix. This is the best collectivefinish for SHR since its inception in 2009. The next event on the Monster Energy NASCAR Cup Series schedule is the Overton’s 400 on Sunday, July 1 at Chicagoland Speedway in Joliet, Illinois. The race starts at 2:30 p.m. EDT with live coverage provided by NBCSN.